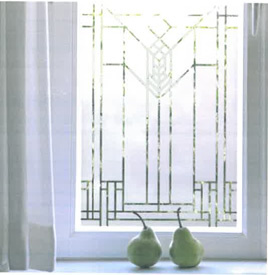 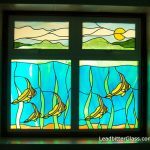 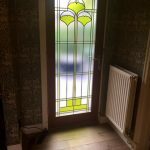 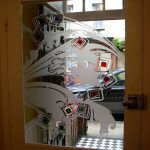 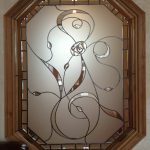 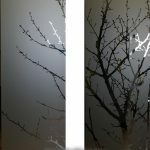 In 2014 we were sent a magazine clipping from a client that wanted us to re-create this etched glass window for the clients door. 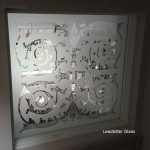 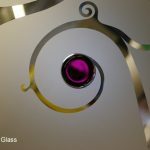 The design is inspired by the works of the world famous architect – Frank Lloyd Wright and the piece was to be made with single glazed 4mm toughened glass. 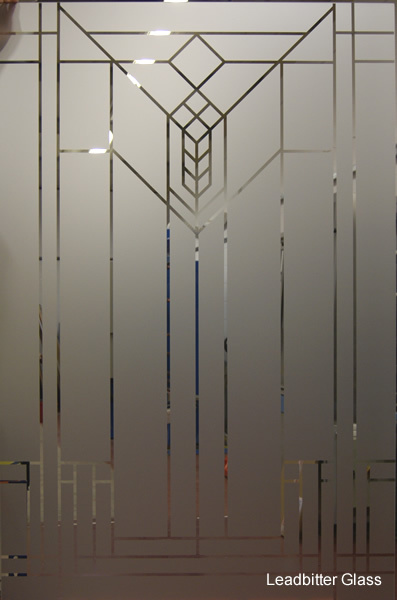 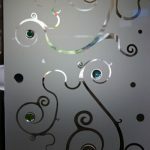 The background of the glass was fully etched with the 6mm straight lines all being clear glass. 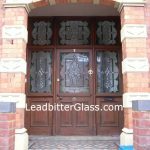 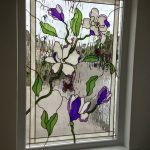 As with all orders placed with the Leadbitter Glass Studio, the client received a full scale drawing before we even started on the glass. 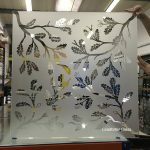 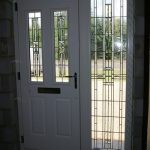 The client approved the drawing as is and we sandblasted the toughened glass within a few days.